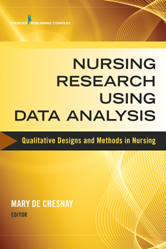 This is a concise, step-by-step guide to conducting qualitative nursing research using various forms of data analysis. It is part of a unique series of books devoted to seven different qualitative designs and methods in nursing, written for both novice researchers and specialists seeking to develop or expand their competency. This practical resource encompasses such methodologies as content analysis, a means of organizing and interpreting data to elicit themes and concepts; discourse analysis, used to analyze language to understand social or historical context; narrative analysis, in which the researcher seeks to understand human experience through participant stories; and focus groups and case studies, used to understand the consensus of a group or the experience of an individual and his or her reaction to a difficult situation such as disease or trauma.